The Day of the Locust meets The Devil in the White City and Midnight in the Garden of Good and Evil in this juicy, untold Hollywood story: an addictive true account of ambition, scandal, intrigue, murder, and the creation of the modern film industry. By 1920, the movies had suddenly become America’s new favorite pastime and one of the nation’s largest industries. Never before had a medium possessed such power to influence; yet Hollywood’s glittering ascendancy was threatened by a string of headline-grabbing tragedies—including the murder of William Desmond Taylor, the popular president of the Motion Picture Directors Association, a legendary crime that has remained unsolved until now. 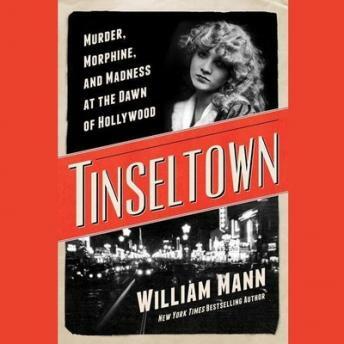 In a fiendishly involving narrative, bestselling Hollywood chronicler William J. Mann draws on a rich host of sources, including recently released FBI files, to uncover the story of the enigmatic Taylor and the diverse group of people who surrounded him—including three beautiful, ambitious actresses; a grasping stage mother; a devoted valet; and a gang of two-bit thugs, any of whom might have fired the fatal bullet. And overseeing this entire landscape of intrigue was Adolph Zukor, the brilliant and ruthless founder of Paramount Pictures, locked in a struggle for control of the industry and desperate to conceal the truth about the crime. Along the way, Mann brings to life Los Angeles in the Roaring Twenties: a sparkling yet schizophrenic town filled with party girls, drug dealers, religious zealots, newly minted legends, and starlets already past their prime—a dangerous place where the powerful could still run afoul of the desperate. Long and repetitive, but at least well-researched. This book could have really used an editor.